Rachel began her journey with the study of herbs and nutrition at The School of Natural Healing in Utah. She has since continued and rooted her studies in energy healing. As an energy healing practitioner, she is certified through SimplyHealed as a practitioner. Her experience has shown that when we give our bodies (physically and energetically) the tools they need, they heal themselves. Once awakening to the reality that we have the power and ability to change thoughts, patterns, and behaviors, she felt the desire to share this knowledge with others who are seeking this truth. 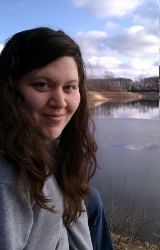 Rachel, a Michigan native, resides in Traverse City with her husband and daughter. Meet Rachel Wachs, the energy healing practitioner behind Tranquil Harbor Healing. assumed/taken as medical advice. These statements have not been evaluated by the Food and Drug Administration and are not intended to diagnose, treat, cure or prevent any disease.